The Destination’s hotels are holding different social, sports and culinary activities in order to raise community awareness for the prevention of cancer. Chef Betty Vázquez will be a featured guest. 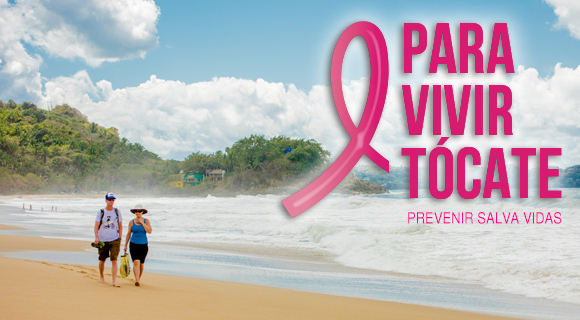 October has become the signature month for cancer prevention around the world and the Riviera Nayarit hotels have put in motion several activities in order to endorse and promote this important global campaign. For starters, The St. Regist Punta Mita Resort and the Hotel W Punta Mita have joined forces to organize the Punta Mita 5K Pink Race “Run For The Ones You Love,” which will take place on Saturday, October 8, 2016 at 8 a.m. on the trail in Punta Mita. All proceeds will be donated to the Fundación Cáncer de Mama (FUCAM). Donations are set at $150 pesos per person. There will be two mixed categories, one for runners under 25 years and another for participants over 26 years of age. The first three places in each category will win prizes in kind such as dinners and tours. To participate please call 01 (329) 291 58 32 or write to alejandra.cordova@stregis.com. To help the Asociación Mexicana Contra el Cáncer (Mexican Cancer Association) the Four Seasons Resort Punta Mita and Chef Betty Vázquez, Culinary Ambassador for the Riviera Nayarit, will offer a four course pairing dinner with rosé wines picked by the resort’s sommelier, Mónica de la Torre. The dinner will be held on Saturday, October 22, 2016 at 6:30 p.m. at the Ketsi restaurant. The donation is set at $1,500 pesos; for reservations please call 01 (329) 291 6000 Ext. 3214 or email concierge.pun@fourseasons.com. The Iberostar Playa Mita is hosting 126 public functionaries from around the country for the 4ta Reuníon Nacional de Responsables Estatales de los Programas de Cáncer de la Mujer para la Planeación y Programación del Ejercicio Presupuestal 2017. This event seeks to share successful experiences and the intellectual capital in pro of the implementation of strategies to benefit Mexican women. The Grand Palladium is not only festooning its halls with pink, but it’s also holding a Pink Party every Monday in October for its guests as well as offering prevention seminars for its personnel. They will be hosting a dinner on Saturday, October 15, 2016 to raise funds and donate the money to the Asociación Bennu. For more details please call 01 (329) 226 9900.